Now there’s a way to wear beautiful dental implants while reducing the cost. If you need a full set of natural-looking dentures, ask Dr. Murray about innovative snap-on dentures. Mini dental implants serve as the root and the foundation of your new smile. Through a minimally invasive surgery, we place the dental implants quickly. They anchor the denture and strengthen the jawbone. Snap-on dentures become your new teeth, substituting for a complete upper or lower arch. Snap on dentures offer stability and convenience. You can snap them on and off as many times as needed, but never have to worry about them coming out when you don’t want them to. Missing out on Teeth? Missing out on Life? Do you have missing or damaged teeth? How about a faulty denture? A perfect solution to restore your enjoyable lifestyle is waiting for you at OKC Smiles. Snap-on dentures placement is unbelievably easy. We can place your dental implants in less than two hours using a precise and noninvasive technique. Of course, you will be provided with local anesthesia to ensure your comfort and relaxation. We will provide you with a custom-made snap on denture that is easy to remove, replace, and clean. You’re going to love the way it looks and feels like a real smile! Come into our office to meet your caring dentist and discuss costs and treatment options. He will take an x-ray of your mouth so he can chart out your ideal procedure. From advanced technology to skillful professionals, we have it all here. 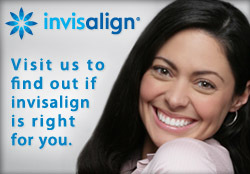 To schedule your consultation, contact OKC Smiles today!